Thinking of relocating to one of our gorgeous Desert Resort Cities in the Coachella Valley? The options are limitless! From Palm Springs to Indio, the Coachella Valley real estate market offers an abundance of choices from country club living to active adult communities to swanky Mid-Century architecture. With all the choices available, it’s a lot to take in, but this relocation guide is a great resource to help you get started with detailed information on each city, local resources and attractions, and much more. My team and I would love to help you find the right community and the right home for you. 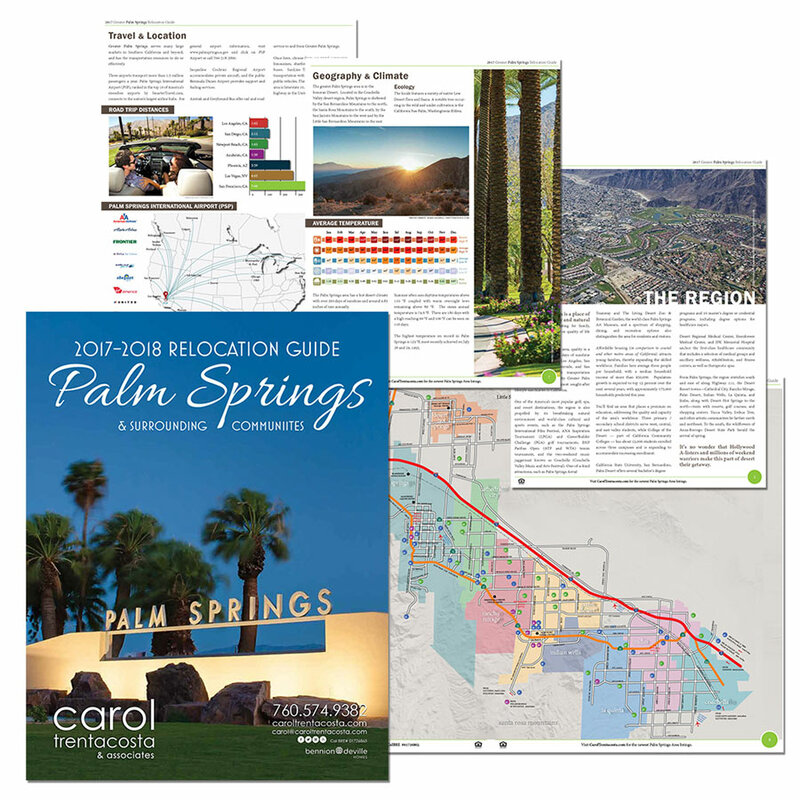 We can explain the advantages of our local cities and neighborhoods and help you understand the differences between HOAs, land leases and other questions particular to Coachella Valley real estate. Put our expertise to work for you! Download a PDF of the Relocation Guide Here.